We are bringing acting improv coach, Ezra Weisz to New York City on Saturday, June 1st, 2019. Ezra has worked on multiple Disney hit shows, plus networks including Cartoon Network, Universal Kids and Netflix. Ezra is one of the most sought-after Voiceover Directors in Los Angeles. Ezra currently has eight (8) projects in the works with Netflix after winning a TEEN CHOICE AWARD for his VO Directing (Best Animation) of the hit Netflix show Miraculous: Tales of Ladybug & Cat Noir. His other Netflix's projects include Zak Storm, Popples, B the Beginning, Edha, 3%, Cable Girls, On My Skin. Additionally, he has Megalobox for the Cartoon Network and The Jungle Bunch for Universal Kids in production. We will be producing the workshop at Pearl Studios NYC. If you take TWO sessions, you will receive a $50 discount off. ($350 TOTAL) / If you PAY IN FULL, you can save $25 / 50% Deposit guarantees a spot. High energy, interactive introduction to improvisation. This class is skillfully led by Ezra Weisz, who breaks actors of their shyness and inhibitions towards acting and creativity. Setting the mood for positive play, Ezra works on posture, eye contact, staying present and in the moment, and sharpening your listening skills. 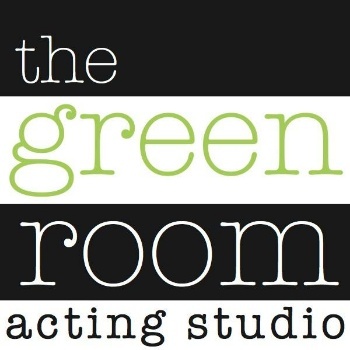 The exercises that reinforce these concepts are quick, fun and stimulate the creativity inside the actor. You will leave this workshop with a solid understanding of the fundamentals of improvisation and an appetite to learn more. Parents of talent are encouraged to stay and observe. Let’s Play! YES! And…. This workshop is rooted in staying positive and working with your partner(s). Here Ezra will delve further in scene work bringing out a spec of an idea into a fully realized scenario. The actors will maintain their focus on character, location, and relationship while improvising through the scene. Constructive, positive critique will follow each and every scene. Saying “YES” to a partner’s idea in a scene is a good start. Saying “YES” and building on that idea (And…) make a great scene and a strong and healthy improvisor. If you are looking to take both workshops, you can SAVE $50 OR if you simply put down a 50% deposit. It is highly suggested that you take both classes, as one builds on the other. If you pay in full, you can also save.